The first French-German Workshop was held in Innsbruck in the beginning of 1996, and attracted about 30 researchers from the French and German speaking areas in Europe (namely Germany, Austria, France and Switzerland), plus two Japanese professors who belong to the French Marketing Association (A. F. M. ). The initiative was taken by marketing research authorities on both sides, given that researchers have, gene rally speaking, little or no opportunities to know of the research which is carried out in foreign countries, apart from that which is published in international journals. The German and French speaking communities in Europe representing a great number of people, it was thought that a specific workshop could be organized in the perspective of intermingling researchers from both sides. In fact, much of the workshop participants were bilingual French-German, but English was the only common language for everybody, so this is the reason why it was chosen as the working language. 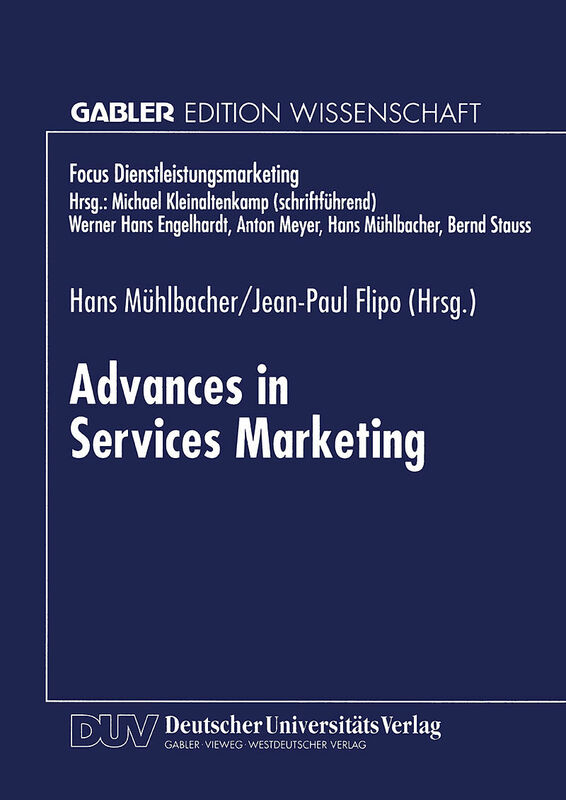 A large range of topics was presented during the two days, given that, traditionally and necessarily, service marketing issues overlap service management ones; we will present, very briefly in this introduction, the main issues dealt with in this book of proceedings, classifying them by theme. Like in any other marketing conference, the theme "consumer behavior" was the most important one in respect of number of presentations, as weil as background of most of the others. Underlining the fact that service attributes are manifold (almost unlimited in number. 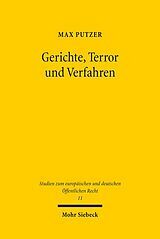 . .
Prof. Dr. Hans Mühlbacher lehrt am Institut für Wertprozessmanagement, Abt. Marketing, der Universität Innsbruck. 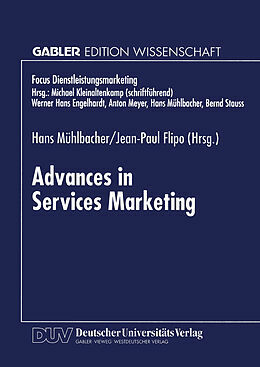 Intangibility and the "State of Being Informed" - and Analysis of their Impact on Market Processes.- Service Coproduction and Customer Participation.- Customer Integration in Business-to-Business-Marketing.- Formalizing the Gambling Market: What are the Interaction Strategies between the Gambling Companies and their Clients?.- Automatization of the Service Delivery Systems: How Far?.- Services Marketing in Consumer Durables Industries.- Service Development Process and Performance: Facts and Measures.- The Dissatisfaction Potential of Satisfied Customers - The Qualitative Satisfaction Model -.- Services Companies: The Importance of the Staff Leaming Process in the Diversification Process.- Using Means-End Structures for Benefit Segmentation in a Service Industry.- A New Approach to Spatial Management of Retail Networks, based on th Germans School's Central Place Theory.- Internationalization of Services.- International Dimensions of Customer Service.